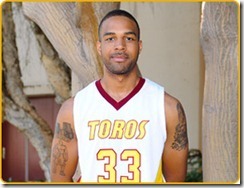 Big George McGrew, 6”8”, 225 graduated from AVC and received a scholarship to Cal State Dominquez Hills University. He currently is on a professional tour of Japan and is the 10th AVC graduate who played professional basketball in the last 6 years. More details to come. Belarus. He leaves for his team on December 17, 2013. Congratulations to “Big” George. Currently not playing professional basketball.